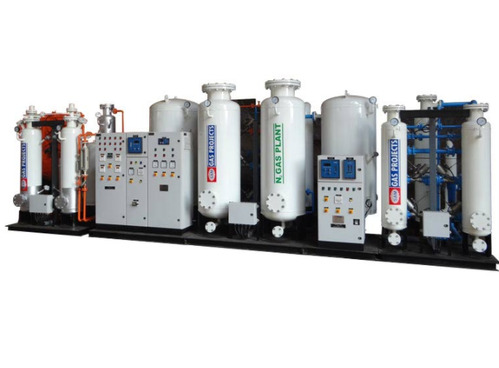 Medical Oxygen Plants serves as reliable source for the generation of continuous medical-grade Oxygen for all your medical needs. These online generators can easily cater to your average needs and also your peak demand as and when needed. We supply these on a turnkey basis and customize these as per your actual requirements. If required, our generators can utilize compressed air, if available at your site as the feed air. Our systems also have a fail-safe mechanism which allow the Oxygen supply to automatically switchover to backup cylinder supply in the unlikely event that our system deviates from preset limits. Audible and Visual systems alarms also alert the maintenance personnel of this condition so that corrective service can be performed.